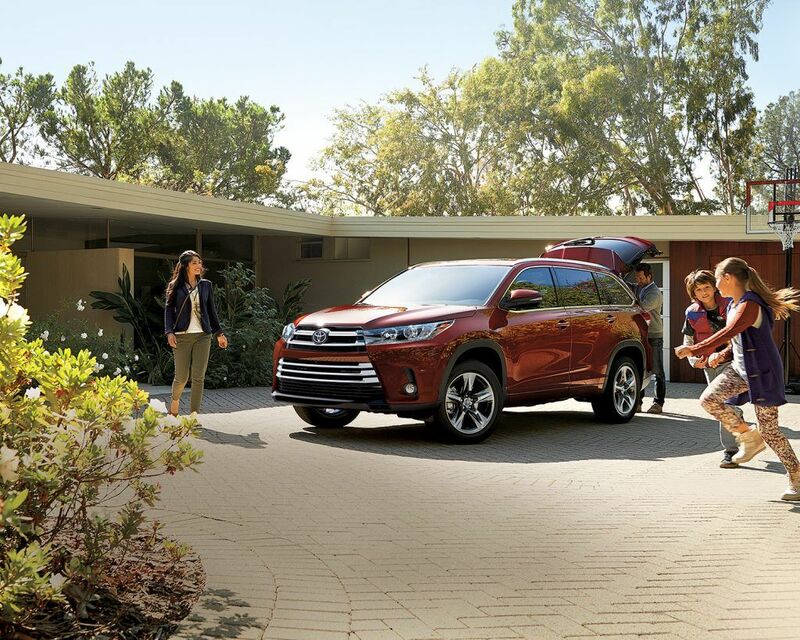 The 2019 Toyota Highlander was designed with your family in mind. With a spacious interior and a fuel economy that keeps your budget on track, the Highlander delivers uncompromising performance and a drive that keeps every passenger entertained. Even on the longest road trips. Shopping for a 2019 Highlander in Edmonton? With hundreds of new and used cars to choose from, let Mayfield Toyota be your first choice. The 2019 Highlander sports an aggressive wide rear stance and sporty front grille, and the inside looks even better. With high-quality materials and a cutting-edge cabin design, you forget the Highlander was made to transport up to eight passengers. Toyota also remembered that with more passengers comes more… stuff. 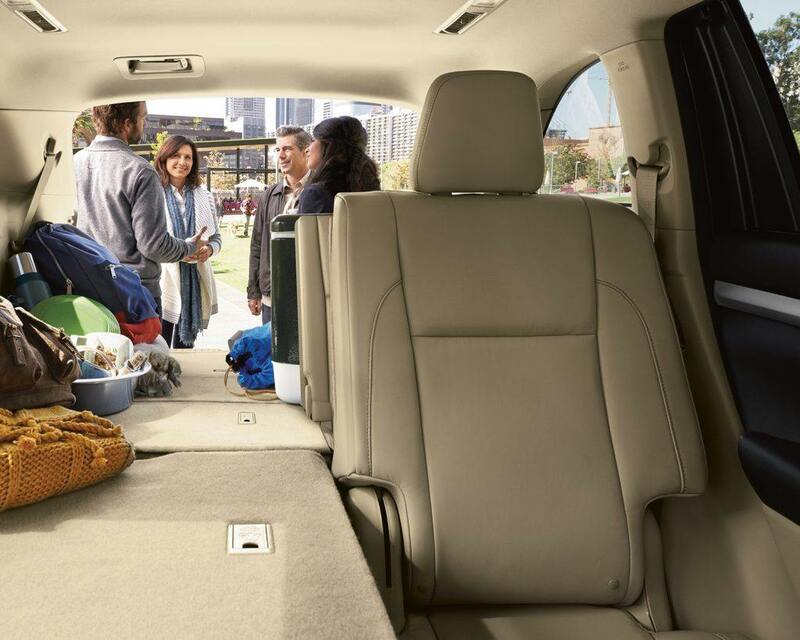 That is why the Highlander offers ample cargo space in the back and conveniently placed storage spots throughout the interior. Need to load up with groceries? Drop the kids off at school? Fit sporting goods and oddly shaped musical instruments in the trunk? No problem. The seats and interior were designed to adapt to dozens of cargo situations. In fact, fold the seats down and you have almost 2,300 litres of space to work with. The one thing we love most about the Highlander is its ability to deliver outstanding power and still give families a fuel economy that makes sense for their budgets. With a 3.5-liter V6 engine under the hood that delivers 295 hp or an available hybrid option that does it that much better with 306 hp, the Highlander has some serious prowess on the road. Equipped with an available Dynamic Torque-Control AWD system that gives you maximum control on snowy, icy and slushy roads, the Highlander lets you take the family on the adventures you want to go on. Need to tow a boat or trailer? The Highlander can tow up to 5,000 lbs. which makes summer possibilities that much more exciting. Even better? The Highlander Hybrid features an available Electronic On-Demand AWD, which switches to all-wheel-drive, when extra traction is needed. Perfect for our cold Alberta winters. 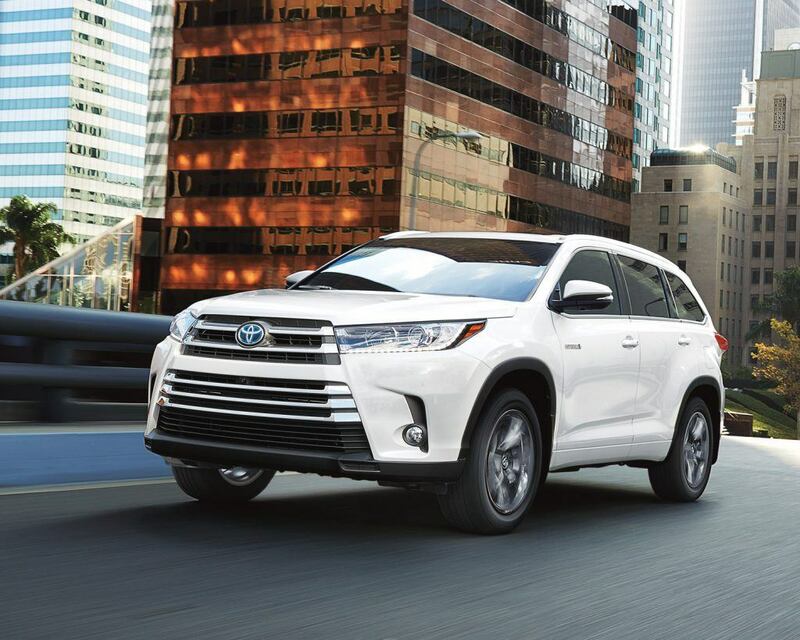 2019 Highlander standard features include a 295-hp, 3.5L, 6-cylinder Direct Injection engine, a 8-speed automatic transmission, a 6.1” touchscreen audio with Bluetooth, backup camera, and Siri® Eyes-Free. 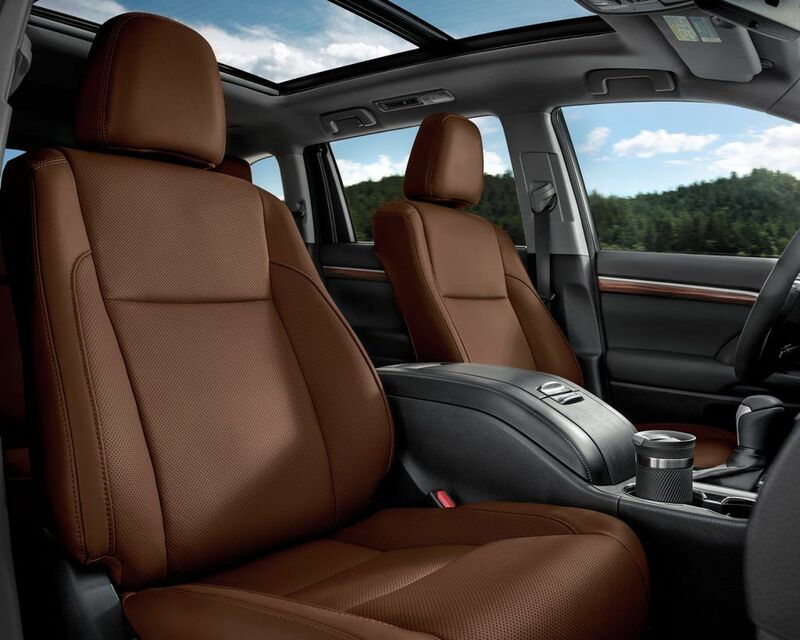 Inside find seating for up to eight, with 60/40 Split 2nd and 3rd row bench seats and dual zone climate control. As always, the Highlander comes fully equipped with the latest safety innovations by Toyota, a standardized offering across their entire lineup. That means Toyota Safety Sense which includes Blind Spot Monitoring with Rear Cross Traffic Alert, Hill-start Assist Control and more. The 2019 Toyota Highlander is available right now at Mayfield Toyota. 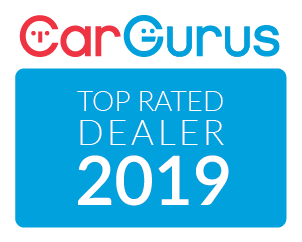 Have questions or want to take a test drive? Simply fill out the form below and one of our product advisors will book you an appointment today. If you prioritize space, safety and a competitive fuel economy, the Highlander is the perfect choice for you and your family.